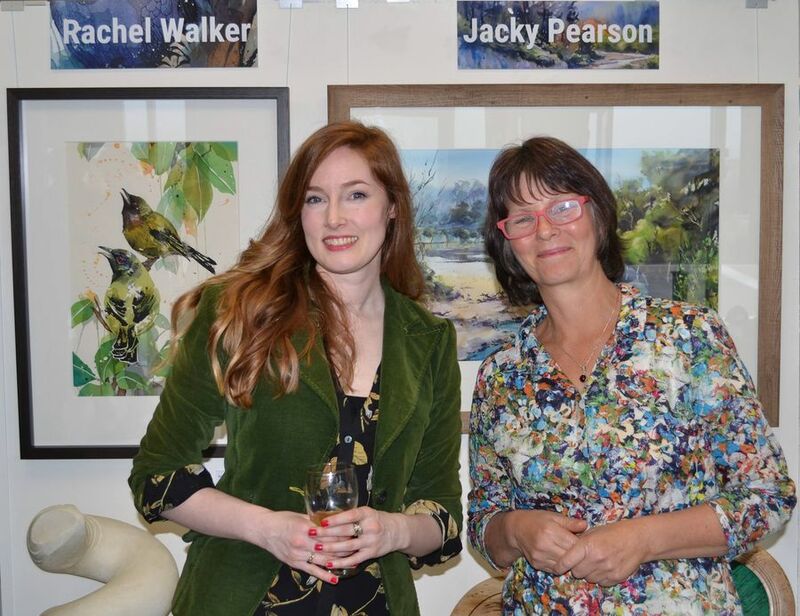 We welcome you to join us for the exhibition opening featuring Rachel Walker and Jacky Pearson. Meet the artists whilst enjoying refreshments and live jazz in the friendly ambience of Petone's seaside gallery. Jacky Pearson is well known for her amazing atmospheric paintings of the Wellington city and local region. The paintings magically draw the viewer in to relive and experience everyday scenes we know and love so well. Jacky is fascinated by light and atmosphere which is the driving force for her paintings. She is a multi award winning professional artist and tutor, not only widely popular at home in New Zealand but she is also an internationally acclaimed artist and popular tutor. She is a master watercolour artist and loves the sense of freedom and spontaneity from working with this medium. This exhibition is Jacky’s second exhibition at Artspace Gallery and will include a selection of her favourite spots around Petone and Wellington as well as from her new home in the Waiararapa. We’re excited to welcome Rachel for her first exhibition at our gallery, Rachel (AKA Walkerillo) is renowned for watercolour, spray paint, pen and ink artworks that draw on her awe of the natural world. Her drippy, energetic style is both loose in form and precisely detailed — capturing the attitude and beauty of birds, sea creatures, reptiles and wild animals featured in her amazing artworks. Born and raised in the beautiful seaside town of Napier, New Zealand, Rachel trained at Massey University in Wellington where, since travelling, she has returned to live and paint. Rachel’s creative work has seen her involved in a range of projects, from commissioned pieces to painting for film and stage sets. Her career to date has included a number of solo gallery exhibitions, creating cover art for magazines, school journals and albums, and a stint living and painting in rural France. Rachel has been commissioned to create concepts and images for Royal New Zealand Ballet promotional posters, wedding invitations, and even unique tattoo designs. Rachel has also designed a new label for Kakapo Wines which you might get a chance to taste at the opening. Good news the annual gallery calendar will hopefully be availiable in time for the opening. This year, funds raised from selling the calendar will be donated to the Te Omanga Hopice for their new building project. As well as the gallery calendar we also have a number of other beautiful calendars to choose from. For some the silly season seems miles away but for the organised ones out there the Gallery is filling up with some very gorgeous and affordable gift ideas. In this fast “throw away” society it makes sense to gift New Zealand Made, not only are you supporting our very own creatives, but you are gifting something that will last. We also stock a wide range of art cards (both general and Christmas) and our gift vouchers are always popular if you can’t quite decide!